For example, in Eastern Orthodox Church, after the liturgy the priest must consume (I mean eat) all remainders of the Body and the Blood of Christ. And is not permitted to leave even some the smallest parts of consecrated bread and wine, or lose some of them or to let fall on the floor some of them. As I understand, many Protestants do not believe that the wine is real blood and the bread is the real Body of Christ. So, how do Protestant pastors treat such remainders? You are correct that most Protestants do not see the bread and wine as anything more than symbols. There is no blessing that is ever attempted to transform the elements into the literal body and blood of Christ. Consequently, the bread and wine (or juice) that could be stored for long periods of time prior to the observance of the Eucharist (the Lord's Supper) can be stored for long periods of time afterwards. Additionally, if the bread or wine goes bad or if there is anything left over after an observance, they can be just thrown away. So, some would ask if the disposing of these elements is irreverent. To answer that, it should be understood that the elements only serve as symbols during the observance of the Eucharist/Last Supper. Before and after, they are just regular, ordinary, "garden variety" bread and wine. It should be noted, though, that there are some Protestant denominations that do hold the bread and wine in high regard. Some may even subscribe to transubstantiation. For those denominations, the practice would likely be similar to that of Catholics and Orthodox. Episcopalians: The ushers count the congregation and count the wafers to match. If they miscounted the Priest in charge reserves the wafers in a "tabernacle" on the altar. They drink all of the wine/water. If a wafer is dropped it is retrieved quickly and consumed by the Priest. Whether or not individuals believe the wafer is the actual body of Christ is between him and God. Episcopalians are not required to believe in the transubstantiation as are Roman Catholics, though many do. "Protestantism" is extremely diverse, and there is pretty much no single way that Protestants do anything. This is especially true of the Eucharist. Some Protestants do believe that the transformation of the bread and wine into the body and blood of Jesus is real. Others believe in treating the communion elements with special reverence even if the transformation is symbolic or spiritual. The Anglican church, for example, also expects that leftover elements are consumed after the service - usually by the Priest. For those that don't follow this practice, the elements can be disposed of in any way that is convenient. They can be eaten, thrown out, or kept for next week. Many Protestants also don't use actual wine for the communion, but grape juice instead. Some Lutheran churches have an extra drain in the kitchen (sacristy) sink for disposal of extra, unused communion wine. This extra drain dumps directly to the soil underneath. The idea is that it is more respectful to dump on soil than to mix with sewage. Page 13 of this FAQ from the LC-MS Lutherans explains their policy on disposal of the communion elements, including "returning to earth". I invite the children and youth to join me around the table to consume the elements (bread and juice) following worship. Thank you God for the gift of these elements which have served to remind us of your Son's sacrifice and great capacity to love us. As these elements have come from the earth, we now return them to the earth with thanksgiving. Amen. At my church (an Anglican Church in Sydney, Australia), the elements are considered symbols, however are treated with respect. If there is any left over bread or juice/wine, it is consumed. One of our ministers (who also leads the band) will normally just consume the rest of the drink and eat the bread. It is my impression that we would consider it disrespectful to just chuck it in the bin simply because it does have a symbolic importance and has been used to in what is a sacred meal to remember Jesus' atoning death. A good friend of mine and her husband attend a non-denominational Bible Church. I go to services with them (Mass on Saturday though, I'm Catholic). Their church has "The Lord's Table" once a month. The first time I attended when they had The Lord's Table my friend said "Oh I have to go downstairs ( to their social hall) to get the communion." Of course the Catholic in me wanted to ask, "You keep it in the KITCHEN??" I don't mean that as an insult. It was a very spiritual service and I felt privileged to take part. But they just had no special feelings towards the crackers and grape juice once the service was over unlike the way we regard the Bread and Wine. Once it is consecrated it must be consumed. Since they see it as only a symbol they just store the leftover crackers for next time. My friend's husband put the communion trays away. I was so surprised to see him toss all the little cups we had used into the trash can! And as we were leaving he put the bottle of grape juice in his coat pocket to take home. He was saving it for next time. Not the answer you're looking for? 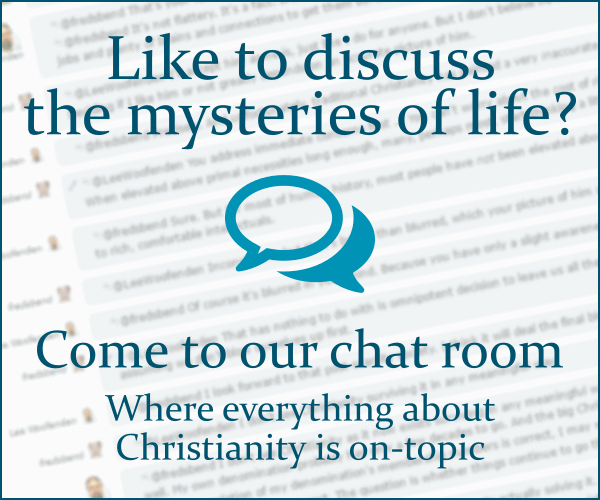 Browse other questions tagged protestantism communion religious-practice liturgy transubstantiation or ask your own question.